Maasi Karuvadu / Maldives Dry Fish is one of my hometown (Tuticorin) special. 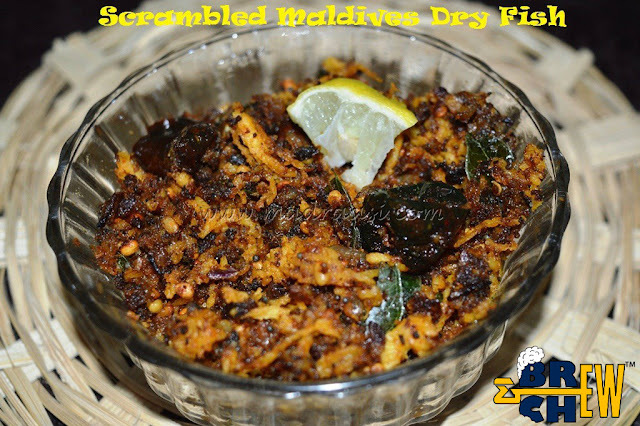 This dry fish is prepared in Maldives and available in most of the grocery shops and markets of Tuticorin. It looks like a log, first of all we need is to crush it and then grind it in a mixer to fine powder, then store the powder in an air-tight container. This process helps in easy storing of this dry fish and also helps in reducing the time of preparation, because it’s used only in the form of powder for cooking. Soak maasi karuvadu / Maldives dryfish powder in a cup of water for 20 mins. Add in the chilies and cook for few seconds. Add in the onion and cook until they start browning. Meanwhile drain the water from the soaked dry fish powder and add the soaked dry fish powder to the kadai. Add in turmeric powder, chili powder and cook for few mins (10 mins), until the raw smell of the spices goes off. Add in the grated coconut and cook until the raw smell of coconut goes off. Check for salt, if needed sprinkle little salt and pour in the lemon juice, cook for 5 mins. Serve hot for lunch as side dish. It goes out well with steamed rice and sambhar or steamed rice and rasam. 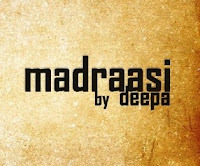 I am MADRAASI (Deepa), a busy housewife running behind two lovely and notorious kids. I hail from TUTICORIN, the southernmost coastal area of Tamil Nadu. Cooking was like an alien language to me after marriage. Later on I started gaining knowledge by watching cookery shows in TV through which I came across Chef Damodaran commonly known as Chef Damo. This kindled my passion towards cooking. Now I am a blogger, food reviewer and product reviewer. I live in Chennai. Where can I buy Maldive Fish powder here please?